Canada is currently at a historic low for participation in peacekeeping missions. Soldiers of France's Barkhane mission stand next military vehicles on the military base in Gao, Mali on October 31, 2017. OTTAWA — Canada will be dispatching an aviation task force to the troubled West African nation of Mali as part of a United Nations peacekeeping mission, a senior government official said Friday. However, insurgents remain active and the UN has seen its multinational peacekeeping force in the region suffer more than 150 fatalities since its mission began in 2013. Last year, Foreign Policy identified Mali as the U.N.'s most dangerous active peacekeeping mission. 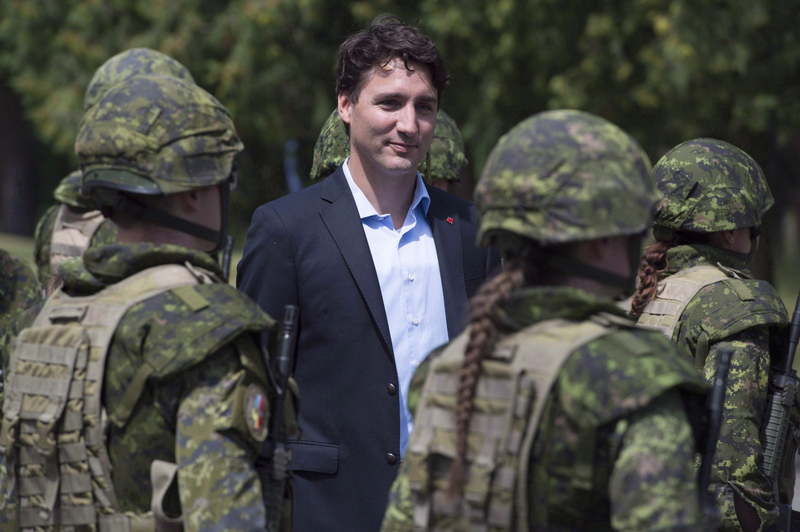 Canada has fewer peacekeepers in the field than at any point since the 1950s. The deployment to Mali will help fulfill a pledge Prime Minister Justin Trudeau made in November during a peacekeeping summit in Vancouver. Prime Minister Justin Trudeau reviews an honour guard as they arrive at the International Peacekeeping and Security Centre in Ukraine, July 12, 2016.